"I wish, as well as everybody else, to be perfectly happy; but, like everybody else, it must be in my own way." This beautiful Jane Austen inspired postcard is the newest addition to the Pretty Girl Postcards repertoire. 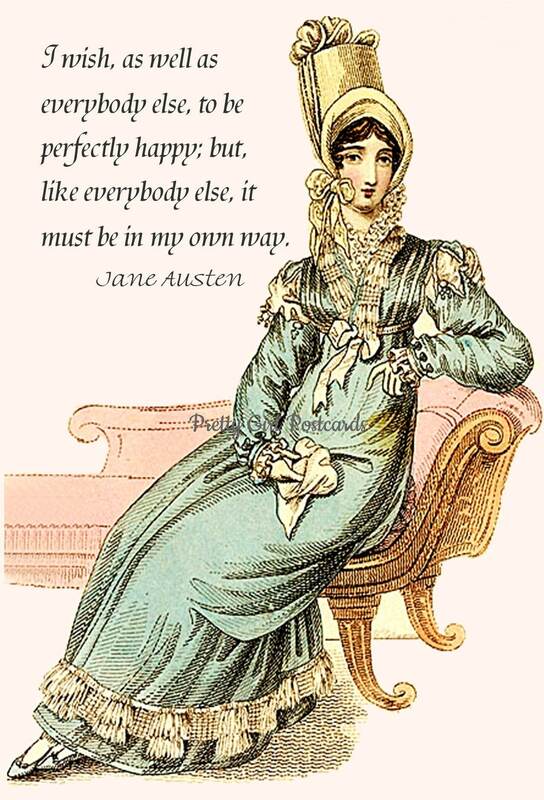 This quote is from Jane Austen's novel Sense and Sensibility.